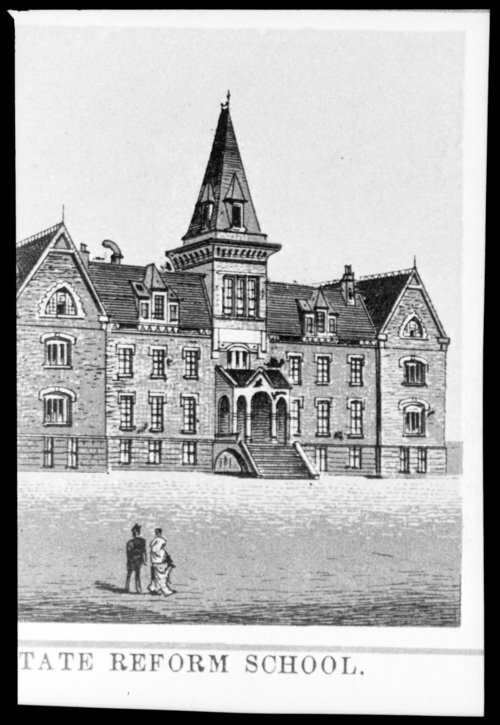 A sketch of the State Industrial School for Boys, located in Topeka, Kansas. This facility opened in 1881 under the control of the Board of Trustees of the State Charitable Institutions. The goal of the school was to reform boys under the age of sixteen who had committed criminal acts. Boys were taught to be farmers, dairymen, tailors, carpenters, linemen, cobblers, barbers, cooks, waiters, machinists, and engineers.